The SoundTube XT550 has an unusual look. By buying this product you'll earn up to 505 Rewards points. The SoundTube XT550 has an unusual look. That's because this partial-burial speaker is designed to stand up to the elements, with a 5-1/4" poly woofer and 1" aluminum dome tweeter ensconced inside a rugged Zero Reflection™ enclosure. It uses a sealed (acoustic suspension) design, but there's a port vent that you can open for extended bass response. A built-in transformer tap lets you power multiple speakers throughout your establishment with one or two amplifiers. 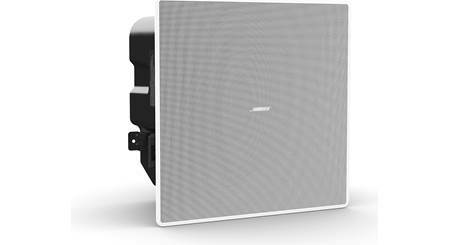 Overview: The Soundtube XT550 is a premium 2-way outdoor loudspeaker solution for installations requiring high-performance sound in a durable speaker design. Ideal for background/foreground music and paging, the XT550 is an ideal choice for theme parks, playgrounds, resorts, shopping malls, restaurants and other outdoor applications. Two-Way Driver Design: The XT550 features a down-firing 5.25" weatherproof woofer, with polypropylene cone and butyl rubber surround, with a coaxially mounted 1" aluminum dome tweeter. The driver is protected by a powder-coated stainless-steel grill and mounted using stainless-steel hardware. Utilizing Soundtube's BroadBeam Ring technology, the speaker offers increased midrange clarity and ultra wide off axis performance, providing a smooth 360˚ of horizontal and 40˚ of vertical coverage area. 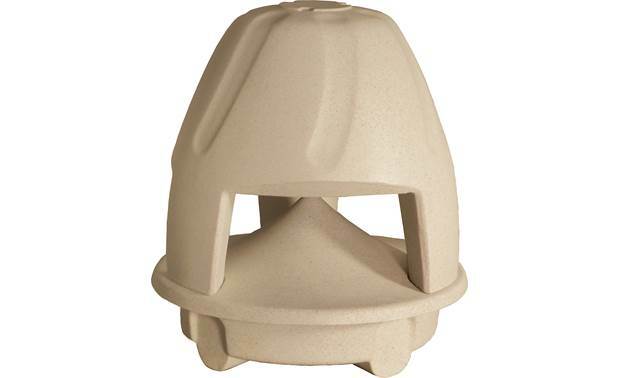 Enclosure: Available in granite green or sand stone, the speaker enclosure is made of durable roto-molded polyethylene plastic and other professional grade components, providing long lasting performance and making it UV-, scratch-, chlorine-, and weather-resistant. The ported enclosure incorporates Soundtube's patented Zero Reflection design along with an optional weather-tight rubber port plug that can be removed for an extended frequency response. 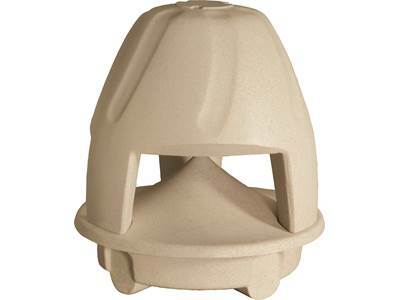 When installing, the base of the speaker sits in-ground with the rest of the enclosure above ground. The base includes multiple wire inlet locations, for easy daisy-chaining of speakers, along with liquid-tight compression fittings for the wiring. Two 10" security brackets are included that attach to the base of the enclosure and extend into the ground, keeping the speaker tamper-proof. 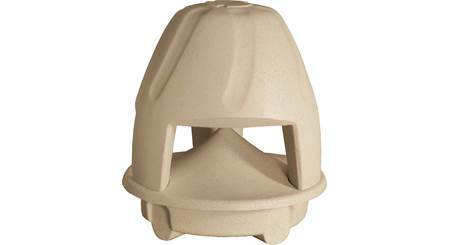 Dimensions: Diameter - 14.875", Height - 15.625"
Base Depth w/Security Brackets: 13.50"
Searches related to the SoundTube XT550 5-1/4" commercial weather-resistant landscape speaker.